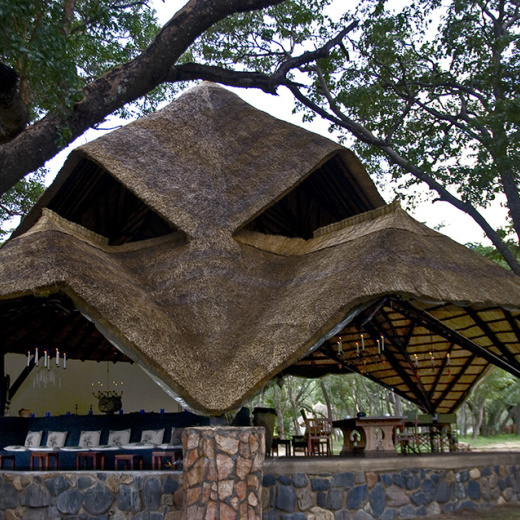 Built on a rich cultural and artistic legacy, and sheltered by the stunning Sikumi forest, on the edge of the world-famous Hwange National Park, on a private concession with stunning views over the Dete Vlei, stands the beautiful photographic safari ‘village’ known as Sable Sands. 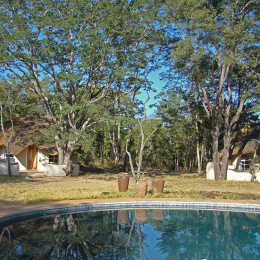 This African forest home also has a refreshing swimming pool, a stunning main building with dining area, lounge, loft, library, bar and terraced landscaping. From here you overlook the famous Dete Vlei, the long dried up river, which today frequently hosts wildlife visitors at the water holes. Here you have a chance of seeing sable antelope, giraffe, zebra and big herds of elephant and buffalo, lion, cheetah, painted dog, jackal and more. The Vlei is also renowned for its incredible bird population, believed to be no less than 350 different species in all. Passionate guides, chefs and waiters complete the team that shares with you the rich history, folklore, culture and habits of the inhabitants of this magical forest. They love to take you on an early morning bush breakfast or surprise you with a romantic drive under the starry African skies.